It's All About You! 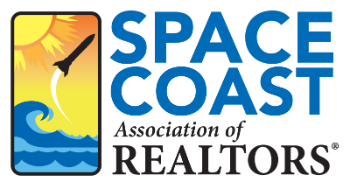 GRI - 201 11 CE - Space Coast Association of REALTORS® Member Site. 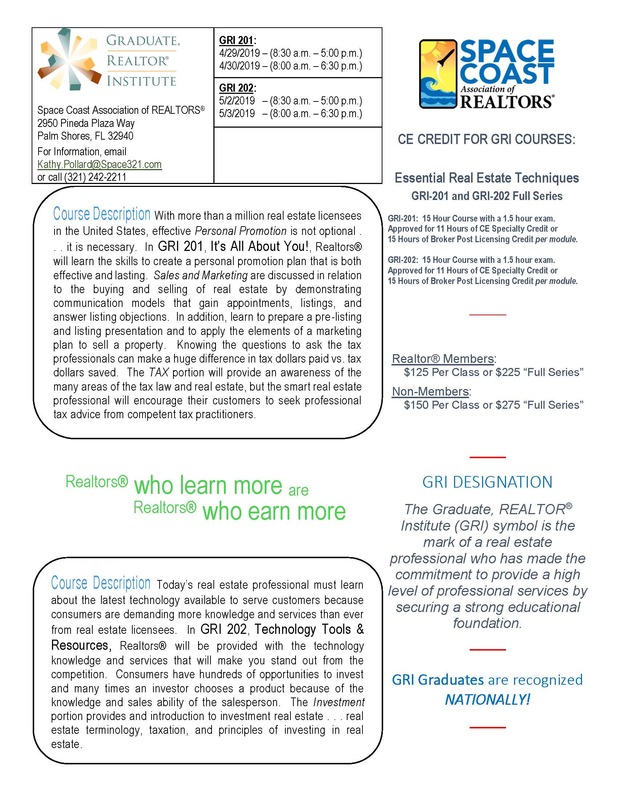 In GRI 201, It’s All About You!, Realtors® will learn the skills to create a personal promotion plan that is both effective and lasting. Sales and Marketing are discussed in relation to the buying and selling of real estate by demonstrating communication models that gain appointments, listings, and answer listing objections. In addition, learn to prepare a pre-listing and listing presentation and to apply the elements of a marketing plan to sell a property. Knowing the questions to ask the tax professionals can make a huge difference in tax dollars paid vs. tax dollars saved. The TAX portion will provide an awareness of the many areas of the tax law and real estate, but the smart real estate professional will encourage their customers to seek professional tax advice from competent tax practitioners.